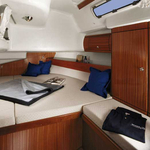 In 2004 has been built boat Bavaria 49 called Alboran XXII Arehucas (Majorca). 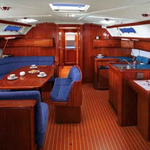 This yacht is available from harbor Palma de Mallorca in area of Palma De Mallorca in Balearics. 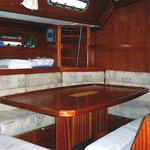 You can accommodate up to 12 persons on the sailing boat Alboran XXII Arehucas (Majorca). Scheme of sleeping places is 12 (10+2). There are 5 cabins situated below she's deck. Alboran XXII Arehucas (Majorca) is equipped with 3 heads with showers. 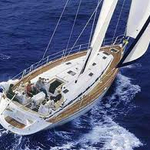 Browse for more boats by going here: Yacht charter Palma De Mallorca. Tank for fuel is 230.00 l liters capacious , tank for water has up to 650.00 l liters. 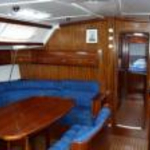 In this yacht there is motor 104 hp. 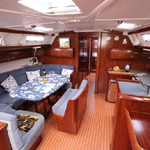 With 14.95 meters of lenght overall and 4.46 m of width Alboran XXII Arehucas (Majorca) provides enough space for comfortable sailing. 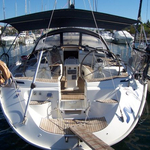 Bavaria 49 Alboran XXII Arehucas (Majorca) is equipped with: Autopilot, Gps plotter, Radar, Bimini top, Dinghy, Anchor electric windlass, Radio / cd player. . Security caution is 2500.00 EUR. 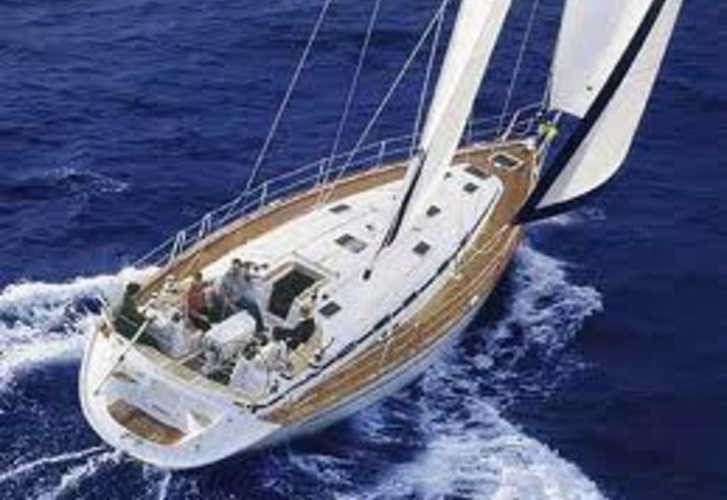 Get more more boats by going to this section: Yacht charter Palma de Mallorca.